For the serious road cyclist, South Ayrshire is a mecca. 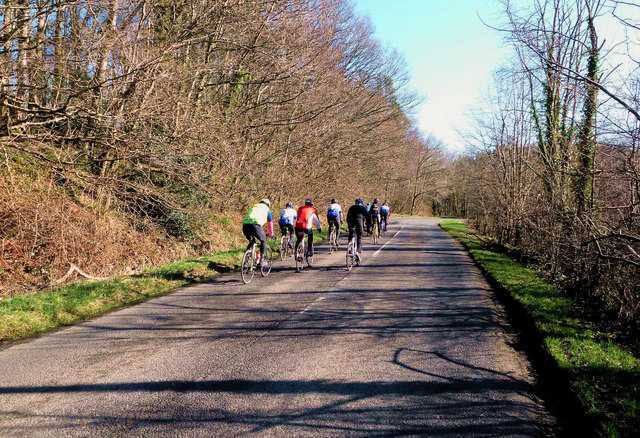 The Ayrshire Alps is planned as Scotland’s first Road Cycling Park, and many consider Straiton the heart of the area, having been welcoming cyclists for years! Situated at the eastern end of the park, Straiton is a great base to tackle Tairlaw, Largs and Glenalla. You can find all the information on the best routes along with awesome photos and maps at Ride the Ayrshire Alps. In 2012, the village hosted the Straiton Struggle Road Race. The South Carrick David Bell Memorial Race also often passes through the village. See their great blog site for images and reports. It has been billed as perhaps “the most scenic race in the UK“! The “Lochs and Glens South” section of National Cycle Network route no. 7 passes nearby, and makes a convenient connection with the Straiton to Newton Stewart road. Of course, if you want to be a bit more leisurely and maybe take a picnic along with you the small roads around Straiton provide lovely views, and further up into the Galloway Forest there are many forest trails on which you can bike in beautiful remote wilderness, and not all of them up steep hills! There is also the Loch Doon Forest Drive, aka the Carrick Forest Drive, a magnificently scenic route. 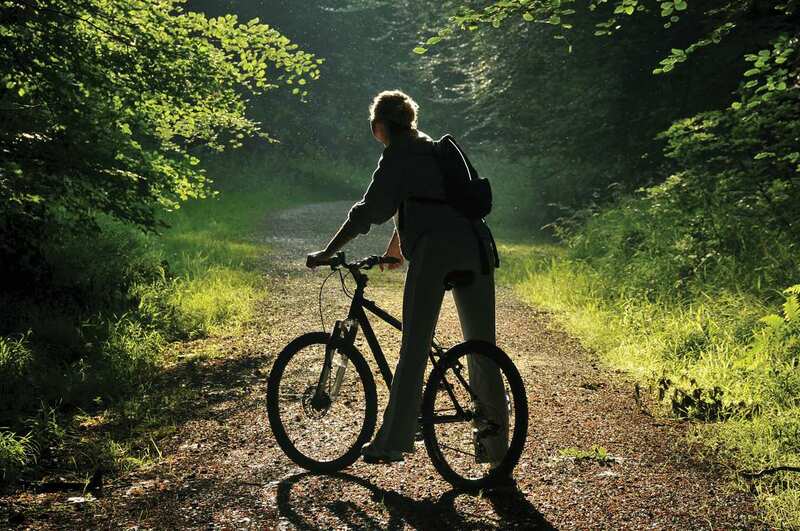 See a description of the Forest Drive as a route for cyclists in the online Herald. 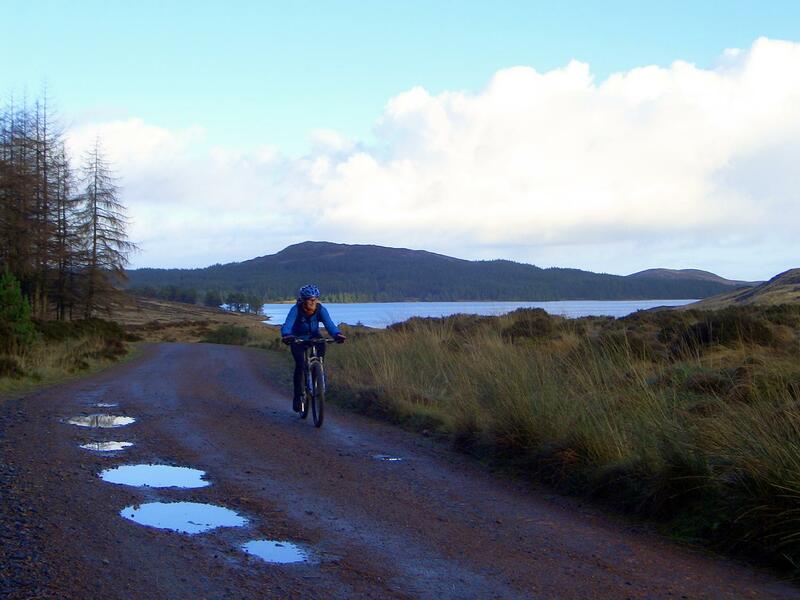 Loch Bradan, near Straiton, has a mountain bike circuit around it. 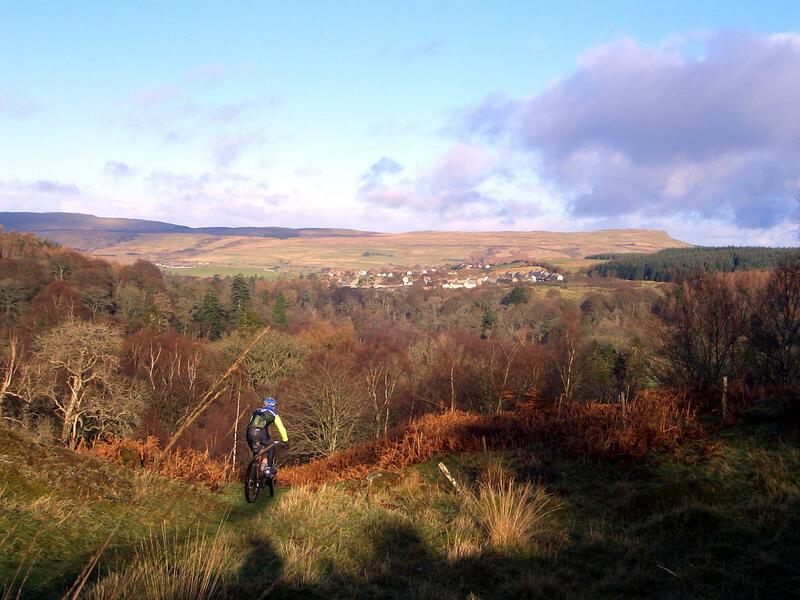 The 7 Stanes biking trails at Glentrool are the nearest major mountain biking centre, – just a 45 minute drive from Straiton, and there are many other trails nearby – try the VisitScotland list of bike trails in Southern Scotland – but have a map handy, as the list covers a big area.